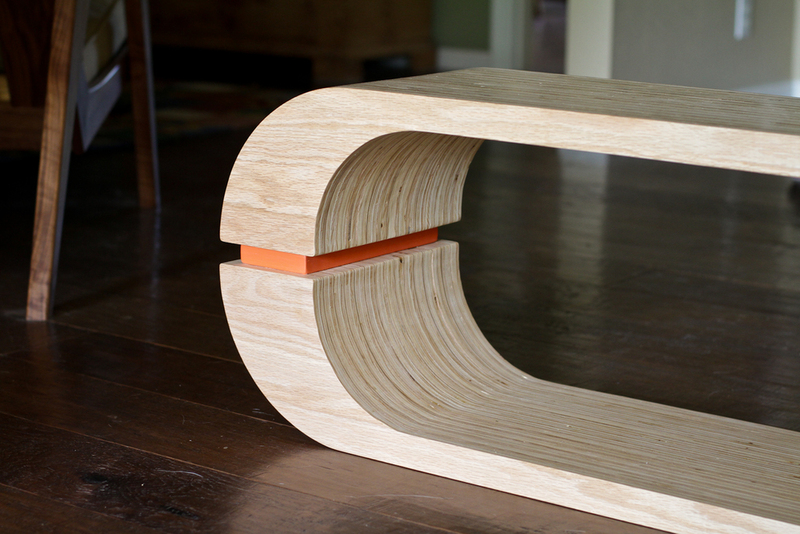 The Bass Line bench is made from Oak veneered plywood. The plywood is turned on it's edge and layered many times to create a unique striped pattern along all the surfaces. This bench also features orange risers to add a simple accent of color, which can be customized to suit any color palette. The Bass Line Bench measures approximately 48" x 14" and stands 18" tall.